Low-lying portions of Walter Boardman Lane and Old Dixie Highway flood after heavy rain and may be impassible to some cars and motorcycles. Be prepared to turn around if road signs indicate temporary closure after summer storms. 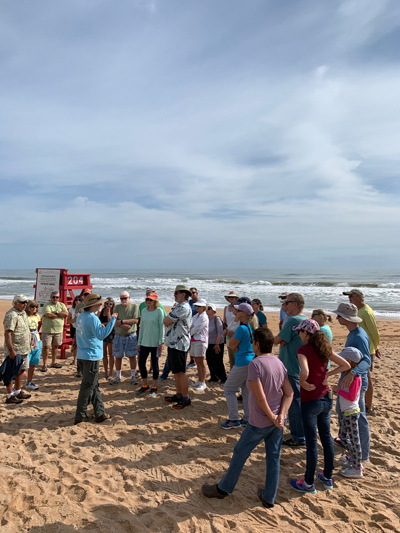 To preserve, protect and enhance the Ormond Scenic Loop and Trail by serving as a focused source of education, community outreach, and enhancement projects consistent with our volunteer resources and the guidelines of the Florida Scenic Highway and National Scenic Byway programs. 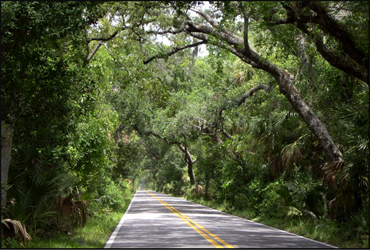 Ormond Scenic Loop & Trail (OSLT) is a 30+ mile double loop of roadways traversing some of the most beautiful and diverse natural scenery remaining in all of coastal central Florida. There is ready access to the Atlantic Ocean, State, County & City parks, vistas of rivers, creeks and marshes, barrier island dunes and beach, and historic dwellings as well as museums and historic public buildings. All roadways are public access with no tolls. 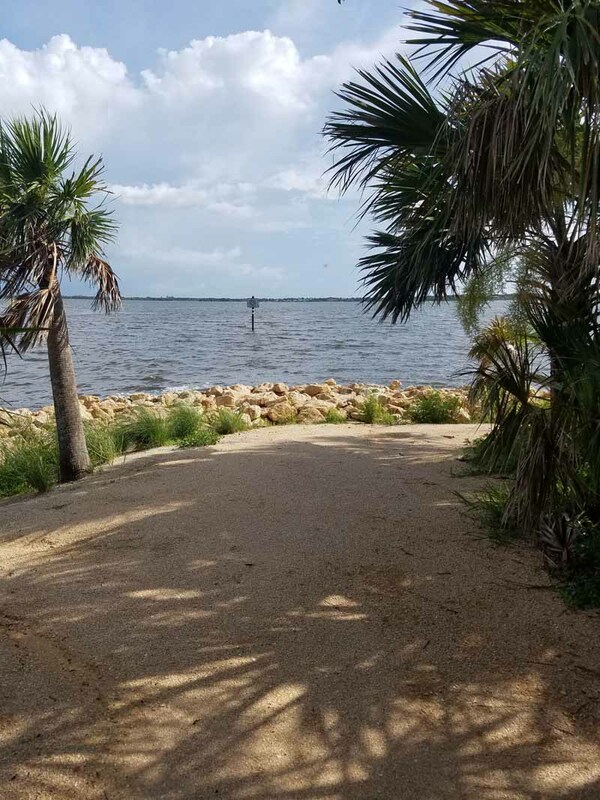 Entrance to Tomoka State Park is free to Florida State Park Annual Pass holders. Follow this link for daily use fees for other visitors. Beach access via foot or bicycle is free. Rates for daily and seasonal passes for vehicles to drive on the beach are found here. This scenic gem is kept beautiful through the efforts of a group of dedicated volunteers. You can become a part of preserving this jewel by considering a donation to our 501(c)(3) not-for-profit. Donate here. Download an 8.5 x 11 inch, printable map by clicking on the map below. In 2016 FDOT celebrated the 20th anniversary of the Florida Scenic Highway Program, a system placed into statute by the Florida Legislature and managed by the Florida Department of Transportation. The photo contest to commemorate that occasion continues as an annual event to highlight our 26 designated scenic highways. We hope you enjoy the beauty of our Scenic Highway system through these photographs and have an opportunity to experience oneof our highways in 2019. Free. 10 a.m. to 1 p.m. at City Hall Plaza, 22 S Beach Street. Entertainment, exhibits, displays, giveaways and more. See flyer. 10 a.m. to 2 p.m. @ Bulow Plantation Ruins Historic State Park, 3501 Old Kings Road, Flagler Beach. Art centered around nature for children and adults. Free to Florida State Park pass holders; daily entry fees apply to others. See web site for details. Meet at the beachside entrance to the park, 1800 Oceanshore Blvd (A1A), Ormond Beach, at 8:00 a.m. to help plant 5-6 site-appropriate trees in 3-gallon size, including Florida privet, live oak and cedar. This is the "pilot" planting in a project recently approved by County Council in partnership with the Pawpaw Chapter of the Florida Native Plant Society. The public is invited. Dr. Don Spence will provide expertise for discussion. We should only need an hour or two to complete the work. Contact Rob Bird with questions. OSLT CME Board Meeting at 5:30 p.m. in Room 4 of Ormond Beach Public Library, 30 South Beach St, Ormond Beach. Public welcome and encouraged to attend. SAVE THE DATE for the 7th Annual Tomoka Fest, 2099 N Beach Street, Ormond Beach. 10:30 a.m. to 2:30 p.m. Bring the family to reconnect in nature. Free to Florida State Park passholders. Daily pass entry fee for others. See flyer for details.